Drama. That’s what many landlords fear about rental property repairs. That’s because these repairs seem to come out of nowhere and at the worst possible times. By anticipating the most likely needs and taking preemptive action, landlords can quell repair anxiety. 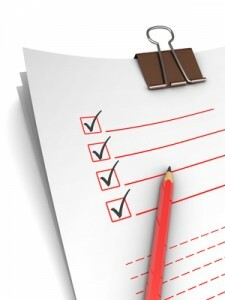 The trick is to inspect the rental property routinely, equipped with a checklist of common repair complaints. In addition, adopt a leasing policy that encourages tenants to report problems. Policies that require completion of burdensome forms in order to flag a problem might discourage tenants, causing further discontent — and drama. Resolve complaints quickly, and follow up with tenants after repairs are made. Many complaints will be eliminated completely through regular maintenance, leaving you free to enjoy your weekends in peace. Exterior lighting. Tenants value security above other amenities. Garbage spilled at dumpsters. This will attract pests and rodents. Stored items left by the landlord. Locked rooms are notorious for attracting rodents or sucking up heat. Make sure lights are turned off after a visit. Kitchen sink clogs, usually caused by malfunctioning or improper use of garbage disposal. Laundry vents, hoses. Dryer vents must be cleaned, while washing machine hoses must be replaced every few years.